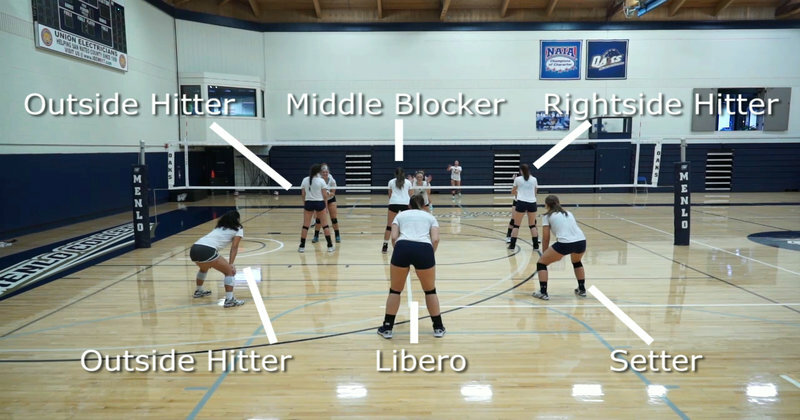 The mindset of a great defender in volleyball is all about fostering the right attitude at all times, and thinking smart both on and off the court to maximize the chances of making great defensive plays. While natural talent and the repetition of countless drills clearly goes a long way in helping a player go from an average defender to a good one, it’s possessing the correct mindset that separates merely good defenders from great ones. The right mindset consists of an excellent reading of each and every situation a player may find themselves in during a game, and a confident, aggressive attitude that fosters the belief of being able to get to every ball. Analyze the strengths and weaknesses of the opposition – are certain players power or finesse hitters? Are there situations where a power hitter may turn into a finesse hitter and vice versa? The great thing about being able to read the game so well is that if you aren’t as naturally athletic as others and therefore can’t get to the ball as quick as they may be able to do so, you can more than make up for it by being in the right place at the right time. When we speak of having an aggressive attitude we don’t mean that you should have a bad attitude that constantly gets under players’ skin through negativity. On the contrary, we mean that you have the positive attitude of going after every ball, even if it seems like you may not get to it. You should be like the Energizer Bunny out there on court and keep on going and going, much to the surprise of your opponents who are thinking that their job just got that much harder because they’re playing against someone who never seems to give up on a ball. Having an aggressive attitude goes hand in hand with having a confident attitude too. The beauty of being aggressive on court is that it also breeds confidence. If you go after every ball and make a few great defensive plays then all of a sudden you have the attitude that no ball is ungettable and your confidence skyrockets, particularly when you hear how appreciative your coach, teammates and the fans are out there are for you.